UNIMAT FABRYKA WYCIERACZEK, Háztartási cikkek alumíniumból, manufacturer of system doormats, manufacturer of external doormats, az EUROPAGES oldalakon. The seat of Unimat is in Poznań. We are a manufacturer of high-quality system doormats, both for indoor and outdoor use. 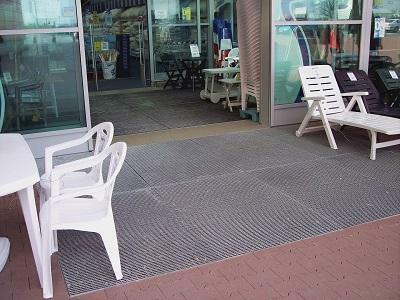 The doormats in our range are used primarily in commerce centres, hotels, offices, storage facilities and education centres. With our system doormats, you can prevent moisture and dirt from being carried onto your floors. We also offer internal doormats made of natural fibres, including coconut fibre. Furthermore, we offer custom company mats. These are doormats with the company logo or any inscription. They are the perfect way to promote your business. Additionally, we provide complete drainage matwell systems. 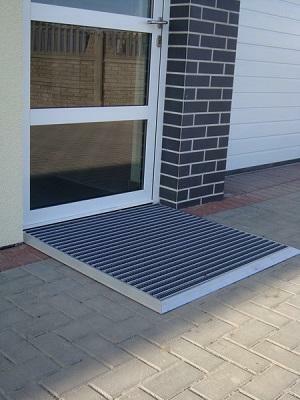 A broad selection of doormat system frames in various sizes completes the Unimat range. 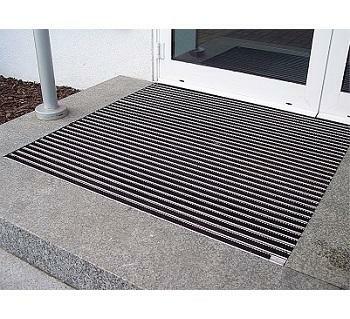 We have installation and cleaning accessories available for the doormats in our range. We offer a comprehensive range of adhesives and installation screws, as well as cleaning brushes. We guarantee professional advice and attractive prices. You can find more details on our website. Should you have further questions, please contact us. Unimat Poznań is open for cooperation.